Located just six miles from Ann Arbor in Washtenaw County, Michigan, is the city of Ypsilanti, a place of rich culture and diversity. Ypsilanti is home to just over 20,000, but is connected to some of the nation’s biggest and most populous cities such as Detroit and Chicago via U.S. Route 12, making Ypsilanti real estate desirable to those who like small town atmosphere while remaining close to bustling city life. First settled in 1823, Ypsilanti is built on deep- rooted history, but also prides itself on its ingenuity, as it has the first city hall powered by solar energy. Its history can actually be dated back even further to 1809 when the city was founded as an Indian trading post by French-Canadian fur trader, Gabriel Godfroy. The city is named after Demetrius Ypsilanti, who was a hero of the Greek War of Independence and a statue of him currently stands at the base of the Ypsilanti Water Tower, one of the city’s notable landmarks. Ypsilanti is also the home of Eastern Michigan University, which has an enrollment of 23,000 students. With the University campus in Ypsilanti, the median age of the population remains fairly low with almost 40% being ages 18-24. The youth in Ypsilanti, who often refer to the city by its nickname “Ypsi”, create much of its hip and trendy arts and culture scene. There are two districts in the downtown area (“Downtown” and “Depot Town”) that blend the history and tradition of the town with its growing youth movement. The old Victorian structures alongside newer shops and restaurants give Ypsilanti a unique downtown aesthetic. Ypsilanti real estate also shares that aesthetic. The Ypsilanti homes for sale include beautiful Victorians, some over 100 years old as well as more contemporary and modern houses. If you aren’t looking to buy, there are plenty of other options available such as renting apartments, downtown lofts and even houses. There is also commercial property to own in its historic downtown districts if you happen to have a small business that wants to move in as well. If you are looking to participate in a fun, hip and diverse culture, living in Ypsilanti would be ideal. It is progressive without forgetting about where it came from. 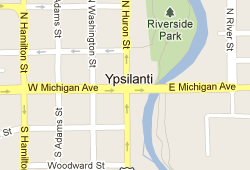 Check out the Ypsilanti homes for sale and see what kind of life Ypsi can offer you and your family. If you are thinking about buying or selling a home, give us a call at (734) 996-0000 or send us an email to explore your options.